Summer camps were such a big part of my life growing up and those memories stick with me to this day. I’m here to inform you of all the amazing camps the Pittsburgh Area has to offer for kids of all ages to enjoy a fun-filled summer! From educational activities to a day at the pool, many of these camps cover it all. These are some of the best camps in the area so act fast before spots fill up! Snapology literally serves all of Pittsburgh from the South Hills, West Hills, Washington County, Monroeville (and surrounding areas), to the North Hills, including Cranberry, Wexford, Mars, Sewickley, Hampton, West Deer, West View, and Pine. The headquarters offers camps at their new larger location in Bridgeville. The many different programs accommodate ages from 4-14. Prices vary for each program and the amount of days you sign up for. For one day options it can be $35. For a full week (Monday-Thursday or Friday) the prices are $139 or $239 for half and full day options respectively . For three half days (Fourth of July week) the price is $83. Check out this page if you’re looking for a specific price or program! There ae tons of options for programs ranging from robotics, drones and animation to Star Wars, superheroes and minute to win it. There truley is an option for any child. Not to mention, there are legos EVERYWHERE and an outdoor play space including a Gaga ball pit.. What more could a child want? Children attending full day camp are encouraged to pack a lunch. You can sign up at any time for even just a single day! There is a morning program from 9:00 AM - 12:00 PM, an afternoon program from 1:00-4:00 PM or a full day camp. Not only do they provide summer camps, but also programs during holidays, spring break camps, and teachers in-service days. It’s a HUGE convenience if your child grows to love the camp and you need somewhere to ship them during these days. Snapology is probably one of the most enriching summer camps in Pittsburgh you’ll find because there is something for everyone and it’s very educational. I mean, how many children love Star Wars and ninjas or would love to design a video game? You can’t find this anywhere else! I’m a little salty it wasn’t around when I was a kid. A million options of fun educational activities you can’t get anywhere else, and you get bang for your buck! Plus, your child will get excited about learning which should make the transition back to school a bit easier. It can take some time sorting through all the options on the website to find the date and program that work for you. Be sure to use the option to sort by age. JCC offers three different locations in Squirrel Hill, Monroeville and the South Hills. JCC welcomes children from 3-16 years old. Prices vary depending on which camp you enroll in and the number of weeks you are attending. Ranging from $235 for half day kindergarten camps to $400 for one week or $3600 for a full summer of specialty camps. What I can tell you is that it’s very reasonable for everything the campers do! Check out all the camps and prices here! JCC day camps offer a variety of camps for 1 week or more. Based on your child’s interests, they can attend camps with sports specialties, science discovery, performing arts and adventures. The specialty camps partner with numerous vendors such as *Snapology, Pittsburgh Bullets Basketball, Sunburst School of Music, etc. Check all the vendors and specialty camps out here! There is even a travel camp for campers who want to go to Pirate games, Sandcastle and even Philadelphia for a week with overnight accommodations in the Jewish Community Center. Amazing. Before and after-care is available for all camps, Monday-Friday. The camp also provides you with many different scheduling options for each individual camp to fit your needs. For instance, you can choose to have your child there from 7:00 AM - 6:00 PM, 9:00 AM - 3:00 PM, or a measly half day of 9:00 AM - 12:00 PM. I promise you though, your child will beg to be there all day! This is one of my favorite camps, up there with Snapology! It’s impossible to not find a specialty camp that suits your child and helps them have an unforgettable summer. The possibilities with JCC are endless! My only con would have to be that there is SO much to pick from! My head is spinning. The YMCA’s summer program is located in Greater Pittsburgh with various locations that you can view here. (Hint: they’re everywhere). The YMCA offers programs for preschoolers all the way to high schoolers at the age of 18. Obviously covering nearly all age ranges deserves an impeccable grade! Prices differ from camp location to program to age-range so I am not going to list every single one of them. Chances are, they’re all pretty similar anyway. BUT, here is a brochure for the Baierl location including prices for everything! Many of the websites have discount codes, too so pay attention to those! Everyday is a new day at the YMCA! The children get to go on field trips, visit local pools for a day of swimming, attend organized activities or participate in lessons catered to each child’s need. The camps have a different theme each week and some of them include, “Welcome to the Jungle,” “Shark Attack,” “Beach Party,” “Raise the Jolly Roger,” etc. Basically, your child will never be bored! 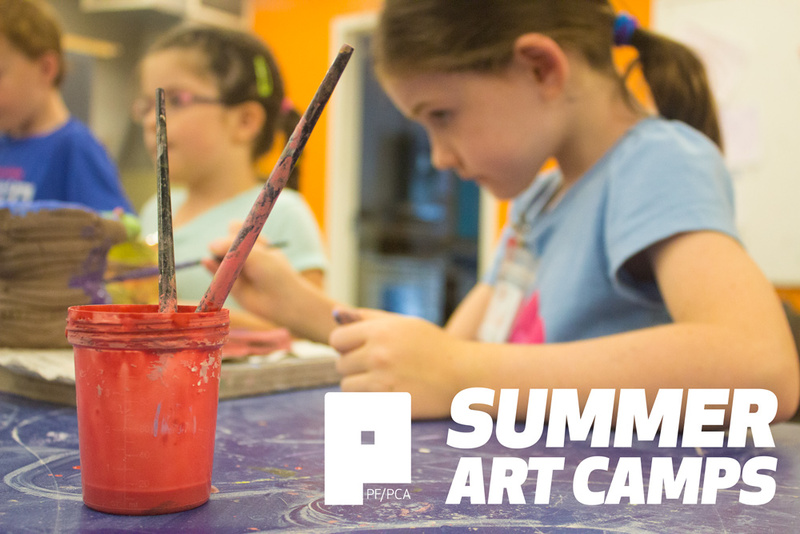 This is a great camp if you want your child to see Pittsburgh by going to the PPG Zoo & Aquarium, local parks, skyzones, Carnegie Science Center and even the Aviary! A healthy lunch and snack is provided every day for each camper. Each snack includes ½ cup of fruit or vegetables and a ½ cup of grains (crackers, whole wheat bread, etc). Each meal is served family style and water is always served. The camp begins June 10th, 2019 and ends August 23rrd, 2019. Basic camp hours are 9:30 AM - 4:00 PM. They provide before (7:00-9:30 AM) and after hours (4:00-6:00 PM) as well upon request and with additional fees. The YMCA also offers overnight camps that you can check out on their site if interested. The YMCA does it all. This is an excellent choice if you want your child to be more active. You can drop your child off for the entire day and enjoy your summer! Or work, which is probably what you’re doing. Pricey but again, the campers go on multiple field trips! This camp also focuses more on experiences and physical activity (which is GREAT) but there aren’t many educational aspects. The Carnegie Museums have different summer camps at the Carnegie Science Center and Carnegie Museums of Art and Natural History. They all have a lot to offer at each location. Both the Art Museum and Natural History Museum are located in Oakland (same building) while the Science Center is located in the North Shore. Ages 4-18 are welcome for the Art Museum, Natural History Museum and Science Center. There are also additional programs for children younger than 4. For further information on the prices for the age of your child, visit Carnegie’s site. The Art Museum and Natural History Museum have different themes weekly. These include “Backyard Biology,” “Comics and Cartoons,” “Dino Dig,” “Fun with Clay,” etc. There are outdoor activities, games, gallery and library visits as well. Children enrolled in the Science Camp investigate science careers, experiment with roller coasters, explore the city and navigate the three rivers. Camp Carnegie plans fun filled adventures and numerous field trips (for older children) and grant the campers access to hands on exhibits that they can’t get anywhere else! Lunch is not provided but a small nut-free snack is included each day. Packed lunches need to be brought in a disposable bag and should not require heating or refrigeration. For younger campers aged 4-5 years old, their camp is a half day program from either 9:00 AM - 12:00 PM or 1:00 PM - 4:00 PM. Similar to other camps, Carnegie offers what they call “pre and post camp care” for families who need to drop their child off for longer than three hours. Camp begins in early June and runs throughout summer. The exhibits and materials your child will learn about and use is an amazing opportunity if they’ve expressed an interest in science. The website is easy to navigate to find the right camp for your child. Parking can prove to be a challenge and the more popular camps can fill up quickly. 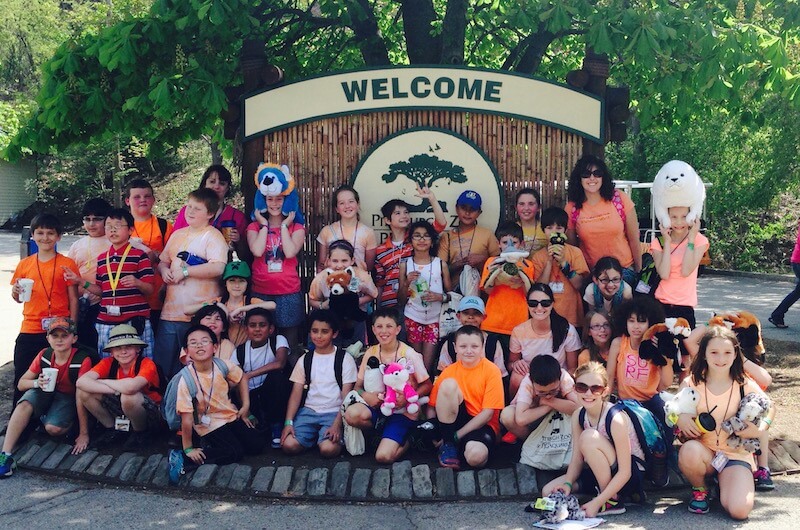 All of the camp programs take place at the Pittsburgh Zoo. Prices vary depending on your child’s age, which program(s) you chose, and how many children you register. If you are a member, you will receive a discounted rate. You can find the breakdown of all the prices and programs on their website. The 2018 Animal Adventures Summer Zoo Camp has a dozen programs planned for your child. The themes are designed to be fun, engaging, and age-appropriate according to each group. Some of them include “Cub Club” for infants, “Dino Days” for 4-9 year olds, and “Wild by Design” for 12-13 year olds. Most programs are half day, so lunch is not included. Most camps start in June or July, with drop-off beginning at 9am. Extended care before or after is an option. See the complete list of all program dates and times online. There are so many options for you and your child to pick from, including programs you can do as a family. Kids have the opportunity to get hands on experience and learn about all types of wildlife, even dinosaurs. You may want to check if lunch is included in your program and pack a snack just in case. There are over 100 camps to choose from each year, each at their own different location. Stay tuned for a complete list of information about PCA’s offerings this summer! Prices depend on age, program chosen, and whether or not you registered for a full day, half-day, or extended hours. You can browse through camps here, the updated list for 2019 coming soon! A wide variety of options are offered, often in interdisciplinary settings. Campers work alongside talented artists to learn new skills, develop their interests, collaborate with peers and create their own work. Each camp is offered to a specific age range and is tailored to the developmental needs of that group. High school programs are intensive project-based programs designed specifically for high school students. Highly trained and experienced teachers provide students with a college-like atmosphere to explore a variety of mediums. High school programs utilize both PCA’s fine arts studios and media labs, and Pittsburgh Filmmakers’ professional filmmaking and photography facilities. Full day programs receive a supervised lunch, but you have to bring your own from home. So do some half-day programs. A full camp schedule for 2018 will be posted on PCA’s website. Highly trained artists will guide your children, and they are able to use professional studios, labs, and facilities to create their own work. PCA also provides financial aid. Parking can get complicated. Make sure to check the website for places you can park at the location of your camp. Most require some form of parking pass. These camps are located at the beautiful Frick Park! Kids Nature Camp - Children who completed 1st, 2nd, or 3rd grade. Each grade level has a different theme and program. Survival Camp - Children who completed 6th or 7th grade. For Kinder Nature - These children spend a lot of time singing songs, reading stories, exploring the woods and playing in the dirt by planting seeds and learning about the various bugs they come across. Kids Nature Camp - Children enrolled in this camp explore outdoors all day by going on hikes, play games, completing art projects, etc. Outdoor Expeditions - Activities for this camp include stream hikes, field trips, games, night exploration and many bonfires. Survival Camp - For the oldest group, these campers learn survival skills such as shelter building, finding water and food, starting a fire, first aid, tying knots, etc. Kinder Nature Camp - This camp begins June 10 and runs until July 19th. Campers can sign up for one week from 9:00-11:30 AM or 12:30-3:00 PM. Kids Nature Camp - This is an all day camp from 9:00-3:00 and each grade level enjoys a different themed camp. Week one begins on July 29 and the final week wraps up on August 16. Outdoor Expeditions - This camp goes from 9:00-3:00. The weeks are July 8th - 12th and July 15th - 19th. Survival Camp - Again, sessions run from 9:00-3:00 . Week 1 dates are June 17th - June 21th for children finishing 6th grade. Week 2 dates are June 24nd - June 28th for children finishing 7th grade. Aside from the Kinder Nature Camp, the children are there nearly all day, which we all know by now that I’m a fan. I feel the prices are also very affordable! Registration is limited to one camp per child, children are not permitted to attend more than one camp week. Donations are requied for access to early registration. The primary camp is located North Park, Pie Traynor, however other locations include Schenley Oval and Moore Park. Pittsburgh’s Ultimate also provided bus transportation to ensure children get to and from camp safely every day! The bus is available from Mt. Lebanon and Schenley Park to North Park each morning and afternoon. The camp is open to children aged 7-14. Prices range from $250-$300 a week. At this camp, the children will work on team building exercises, develop sportsmanship and conflict resolution skills. The kids play frisbee and spend many hot summer days at the pool. Children are provided with a daily snack. Monday-Friday from 9:00 AM - 3:30 PM beginning mid Juneand running until the first week of August. Campers will also have the option to attend one day flash camp to try out the camp and make sure it is the right fit. The bus is a major, major pro. Not many camps provide this for their families and it’s a great way to ensure parent’s have time to make it to work or start their day without worrying about drop off and pick up every day. I personally don’t find this camp as enriching as others, specifically Snapology or Carnegie Science Center because there aren’t many educational factors to it. Reasonable, yes, but it’s hardly comparable to other camps like it such as YMCA, in my opinion. Additionally, camp can be cancelled in cases of inclimate weather. Full day camps are $360 per child, $345 for members, half day camps are $140 per child, $125 for members. Every child will engage in art, learning more about nature through gardening and bug identification and cooking for older campers. All camps include a daily nutritious snack. Camps begin June 10 and run through August. Phipps is beautiful and will be an amazing experience for any child who loves nature! Although the “Little Sprouts” are young children, I feel that only having them there for a little over an hour is a waste of time. Assuming that families sign up their children for summer camps so they can work or get things done, an hour leaves just enough time to probably get home and turn around to head right back. Only children who have attended Pittsburgh Public School are eligible to apply for Summer Dreamers Summer Camp. The children are welcome to attend the camp closest to their home. Their options include Pittsburgh King, Pittsburgh Carmalt and Pittsburgh University Prep. Students that have completed Kindergarten through 7th grade at a Pittsburgh Public School are eligible to attend. The camp also accepts applications for students who are enrolled for the upcoming fall. Students enrolled in the camp will have a summer filled with swimming, dancing, science activities, golfing, community service and so much more. Camp is in session from June 26th to August 2nd from 8:30 AM - 4:00 PM. Hurry up and get your child enrolled for the summer if they are a Pittsburgh Public student! Endless activities, trips, games, and snacks all for free? I wouldn’t miss out on this if I were you! Did I mention this is totally free? Only students enrolled in the public schools are eligible to attend. Bummer.